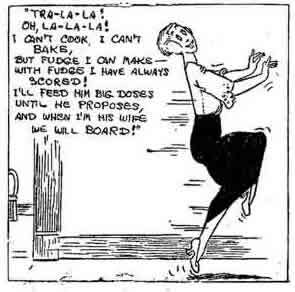 Here’s an example I scanned of Bringing Up Father with the header strip Rosie’s Beau from January 5, 1930 by George McManus. 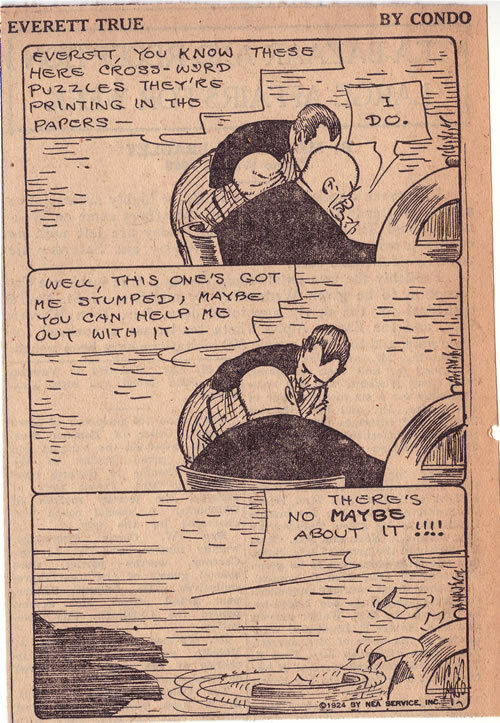 Apparently, there are over 1400 Bringing Up Father strips in the I Love Comix archive. Click here to read MANY examples of Bringing Up Father at Barnacle Press. Click here to read examples of The Newlyweds by George McManus at Barnacle Press. Click here to read examples of Their Only Child by George McManus at Barnacle Press. Click here to read examples of Alma & Oliver by George McManus at Allan Holtz’s Stripper’s Guide. Click here to read examples of Burglar Pete by George McManus at Allan Holtz’s Stripper’s Guide. Click here to read all the items mentioning George McManus at Allan Holtz’s Stripper’s Guide. Click here to check out The Holloway Pages’ Bringing Up Father original art page. Click here to read about George McManus at lambiek.net. 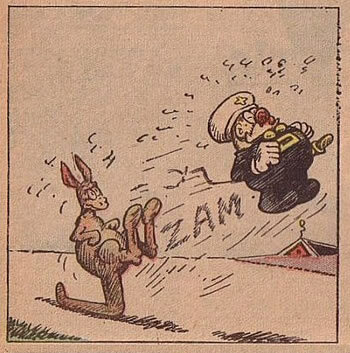 Click here to read more about Bringing Up Father at Don Markstein’s Toonopedia. Click here to read more about The Newlyweds at Don Markstein’s Toonopedia. 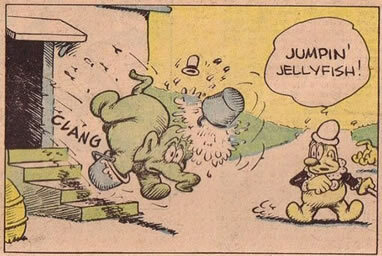 Click here to read more about Nibsy the Newsboy in Funny Fairyland at Don Markstein’s Toonopedia. Click here to read a Newlyweds example at Shorpy. Click here to read a Bringing Up Father example at Shorpy. Read about George McManus at Wikipedia. Go here to see examples of The Newlyweds at Coconino Classics. Go here to get a DVD of all of George McManus’s work from 1905-1906. 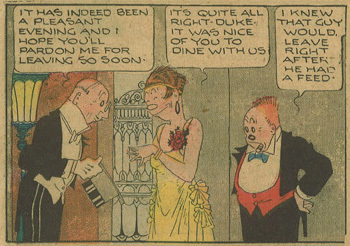 The site includes lovely color scans of a Nibsy the Newsboy in Funny Fairyland and Panhandle Pete Sunday strips. Lots of other good stuff in the links today too… have fun! Re Spect Sunday Leftover Day. 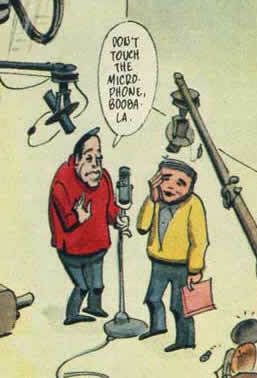 Chibobba chibobba…. Monday Cartoon Day. 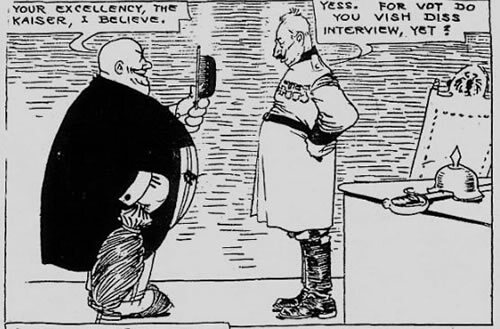 Here is an Everett True strip I scanned from November 11, 1924. 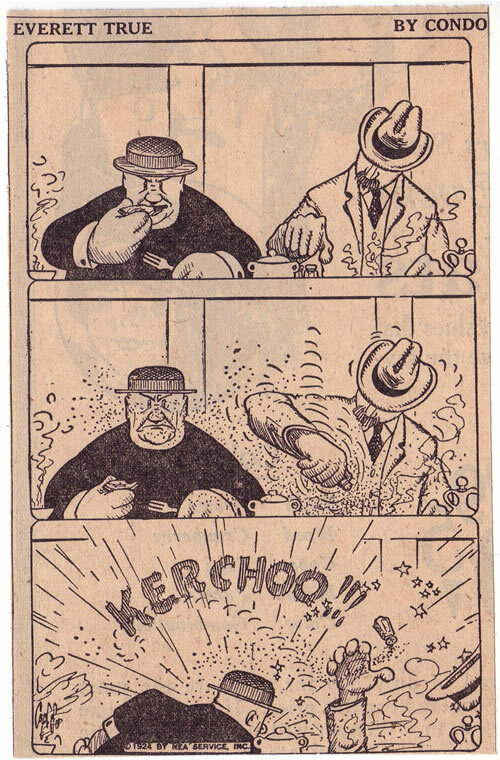 Go here to see more Outbursts of Everett True on this site. Click here to read about the lesser-known works of A.D. Condo at Barnacle Press. Click here to read some samples of Mr. Skygack, From Mars by A.D. Condo at Barnacle Press. Click here to read some samples of Diana Dillpickles by A.D. Condo at Barnacle Press. Click here to read some samples of Duke Murphy by A.D. Condo at Barnacle Press. Click here to read about A.D. Condo at lambiek.net. 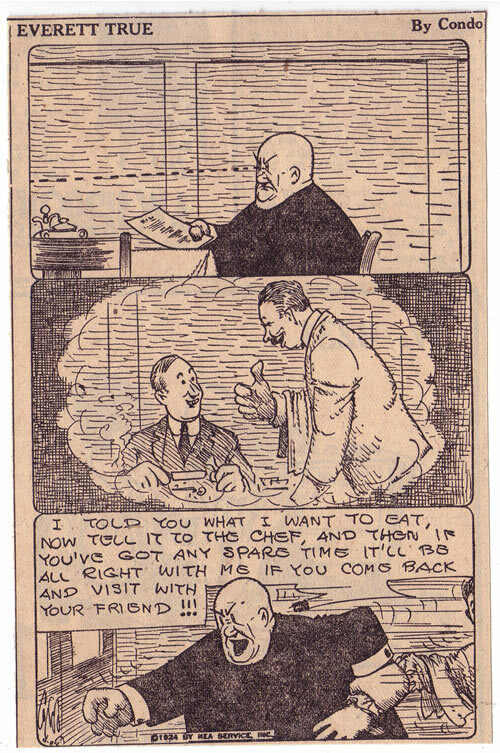 Here is an Everett True strip I scanned from November 10, 1924. 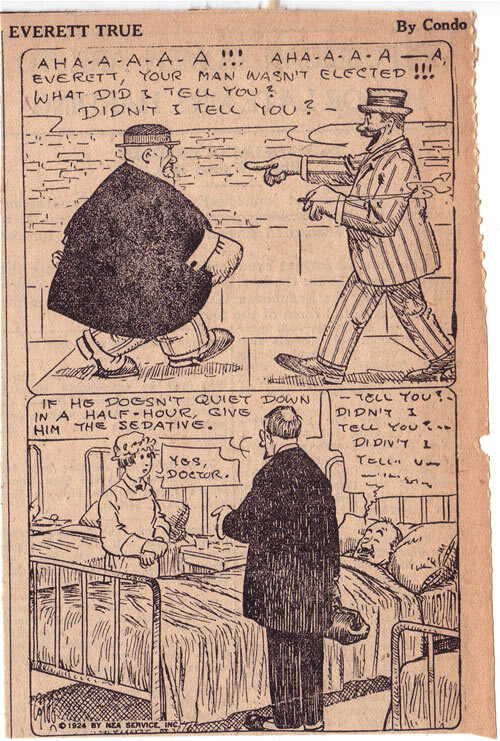 Go here to see more Outbursts of Everett True on this site. 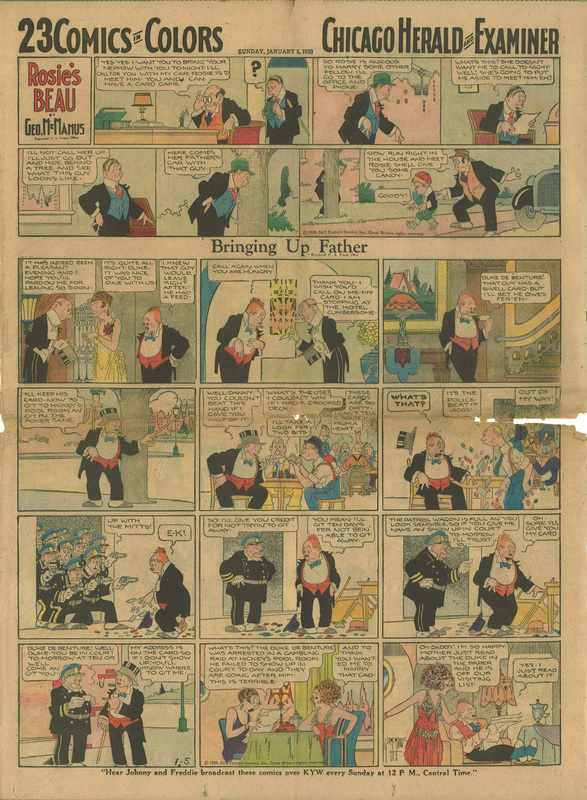 Here is an Everett True strip I scanned from November 9, 1924. This is how Everett leaves a tip. 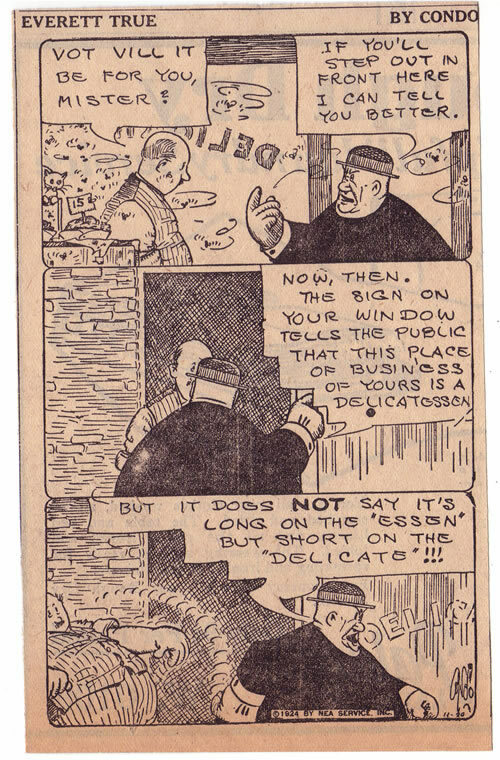 Go here to see more Outbursts of Everett True on this site. 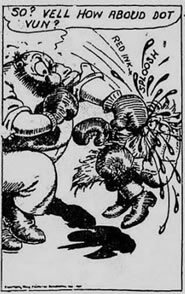 Here is an Everett True strip I scanned from November 8, 1924. 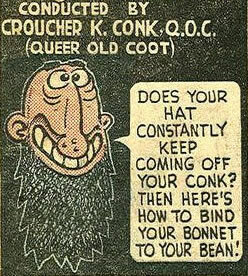 Go here to see more Outbursts of Everett True on this site. 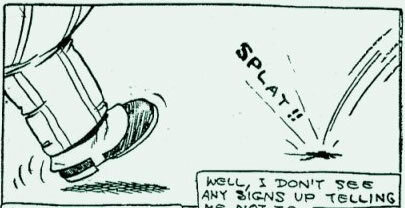 Here is an Everett True strip I scanned from November 7, 1924. Go here to see more Outbursts of Everett True on this site. If you don’t get this (I didn’t), refer to this. 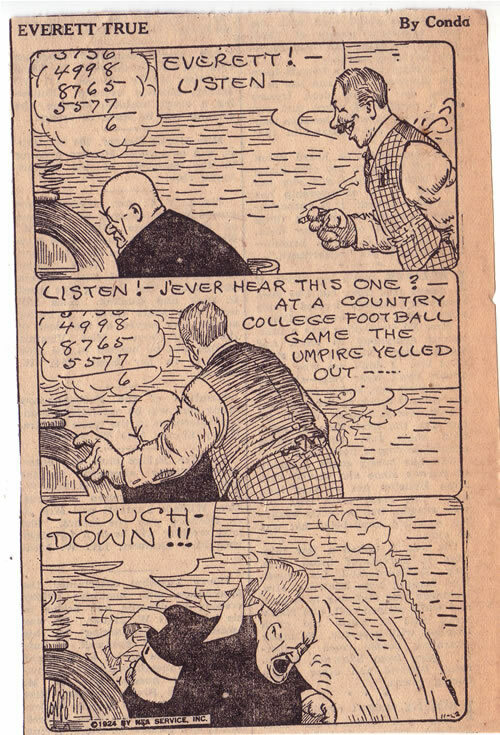 Here is an Everett True strip I scanned from November 6, 1924. Go here to see more Outbursts of Everett True on this site. 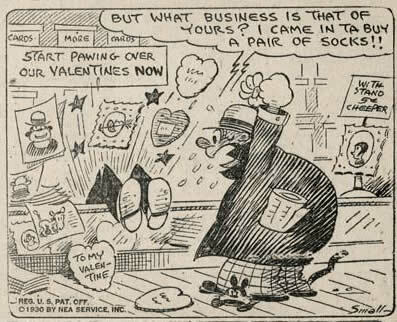 Today I’ll feature more from the great A.D. Condo of Everett True fame courtesy once again of our friends at Barnacle Press. Click the above image to see more examples of Condo’s Diana Dillpickles. Hardly Boys Wednesday Ad Day. In Praise of Dennis: A Rant. ¡Viva La Difference Del Charlton! Two Halves Make A Lot. Monday Cartoon Day. Swinging with the oldies. 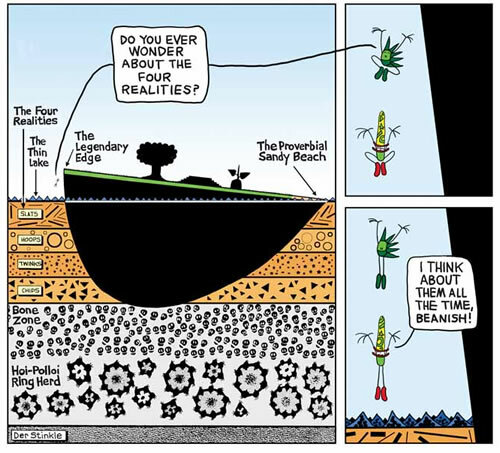 Tuesday newspaper strip. Questionable material Friday comic book day. Puppetry of the gentils Saturday leftover day. Existential fairy tale: John Stanley writes Raggedy Ann! Would you buy a used car from these characters? Number 367 Double Mummy Monday! The return of Diana Dillpickles!